The Brora distillery was built in 1819 by the Marquess of Stafford, although it was known as “Clynelish” until the opening of the Clynelish Distillery in 1968, whereupon the name of the original Clynelish was changed to “Brora”. Between May 1969 and July 1973, Brora produced a heavily peated whisky to supply for blending, this was done to cover a shortage of Islay whisky caused by a drought in that region. 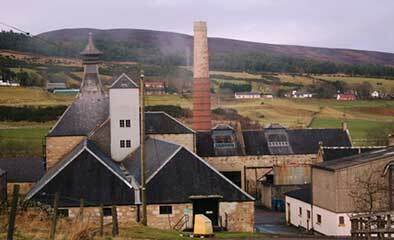 Most of the whisky produced as Brora after 1973 is in the lightly peated Highland style. A 1982 vintage Brora, from the last year of production, bottled by Gordon & MacPhail as part of their Rare Old series of whiskies. Matured in a refill Sherry puncheon. Bottled in 2015 and only 365 bottles produced. 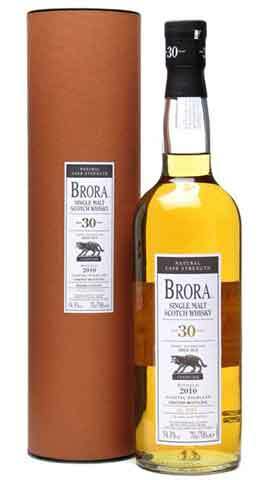 The Brora distillery closed in 1983 and bottles are becoming rather rare and hard to come by. 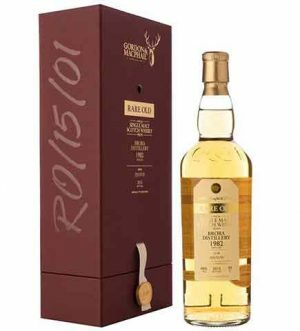 "lovely fruity, spice and gentle smoke flavours"
This is the 9th release of Diageo's revered Brora 30 year old. Gorgeous fruit, with much less emphasis on smoke & peat this time. Bottled in 2010 at natural cask strength, and only 3000 bottles released worldwide.